Home » Saving for your retirement? Here’s how gold could help secure your future. Saving for your retirement? Here’s how gold could help secure your future. If you’re currently saving for your retirement, then it’s possible that you’re using a Self Invested Personal Pension (SIPP) as one of your main methods of saving. Your SIPP will probably carry a range of bonds, funds, shares and other elements, known as asset classes, depending on how it was set up. If you manage your SIPP yourself, then you may have added certain shares to it over time. If a company manage it on your behalf, then they will likely assign your SIPP to various funds. However, did you know that you can also add gold to your SIPP? Gold is a separate asset class on its own and can be a very valuable part of your SIPP. But why is this? How do you add gold to your SIPP and how does it benefit your pension savings? Firstly, the reason many people have gold in their SIPP is to provide a ‘hedge’ against the other elements of their pension. Gold isn’t linked to the price of traded shares, so for example, if the markets go down, it doesn’t necessarily mean the price of gold will also fall. In fact, historically, gold has tended to rise when traded shares have fallen. This can help your SIPP maintain its value due to this balance. Having a diversified SIPP like this can mean that, overall, your SIPP retains its value, or at least is protected because of this diversification, if the markets were to fall. In this way, gold can provide security and protection to your SIPP, where otherwise it might be viewed as being exposed to market crashes, regardless of which shares or funds it’s invested in. The other big reason to add gold to your SIPP is to hedge against inflation. Although the consumer price index (CPI) data shows that inflation has fallen significantly in the last four years, the current forecast for 2018 shows inflation hovering around the 2.4% mark. Infact, UK inflation fell from 4.5% in 2011 to 0% in 2015 – a huge drop. But then, in the last two years, it rose by 2.7%, a big jump. This kind of volatility in inflation rates is ample cause for worry when it comes to protecting your investments. Inflation is one of the important market forces that simply erode your investments, as the value of your nest egg diminishes as the buying power of the pound crumbles. However, investing in gold protects your investments from both these factors. As the prices of goods and services in the economy go up, so does gold, hedging you against the risk of inflation. In addition, market trends show that investors always turn to gold, when their faith in global currencies like the dollar or pound is shaken. This creates additional market demand, further driving up the prices of gold. Since you invested wisely years ago, you are able to reap your harvest now and cash in on the higher prices. Yet another important consideration is to hedge against global uncertainty. If there is a constant in our world today, this is it. Now, let’s say you’re currently in your 50s. You have another 15 odd years to retire. There’s no telling whether the current global situation is going to get better or worse. The US-China trade wars are probably going to become more intensive, as India and China become economically stronger each year. The rifts and uncertainty in Europe that started with Brexit could get worse. Already, the Russian government is seriously hedging by increasing its gold reserves as are India and China. This needs to be an important consideration when saving for your retirement and you could be better off diversifying that retirement portfolio that you’re working on, by adding gold to your SIPP, by simply downloading our investment instruction form. 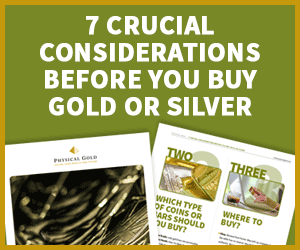 already have a SIPP, then Physical Gold can organise the addition of gold as part of your existing investment. If you don’t already have a SIPP, then we can help you set one up, and start your investment with some gold savings. Pension gold is a great way to save for your retirement and a great way to ‘hedge’ your existing investments for a more secure future. You can find out more about how Physical Gold can help you do this here. Call us on 020 7060 9992 or contact us online to find out more.